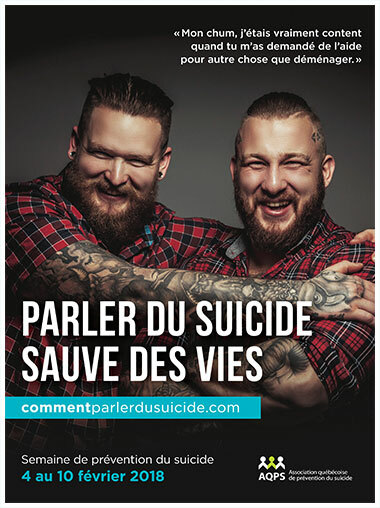 Talking about suicide saves live is the theme of the 29th Suicide Prevention Week, held on February 3 to 9, 2019. 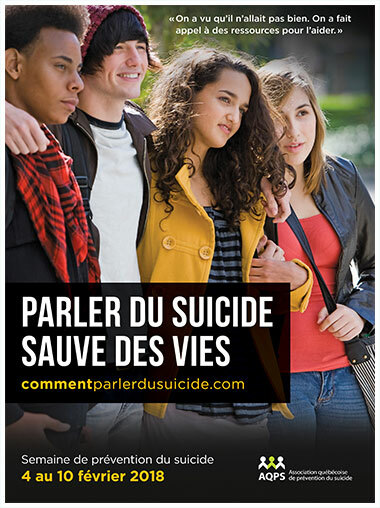 Encourage talking about suicide openly and safely. Provide loved ones, people in distress, and the public as well as service providers with guidance on safe ways of discussing it. The 29th edition of Suicide Prevention Week focuses on a critical component of prevention: speaking up. To reduce suicide rates, it is important to open up both a one‑on‑one and a collective dialogue on the topic. 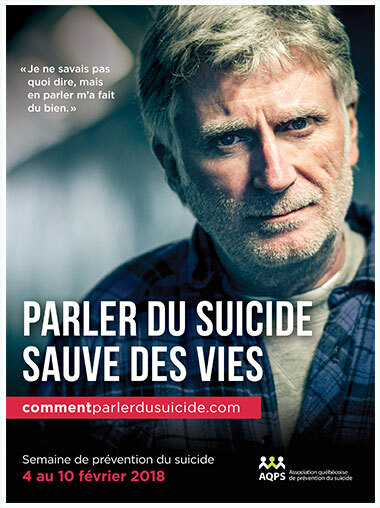 Since suicide already receives extensive media coverage and features prominently in fiction and on social networks, the AQPS believes that it is important to answer the questions that many Quebecers have and offer guidance on how to talk about it. 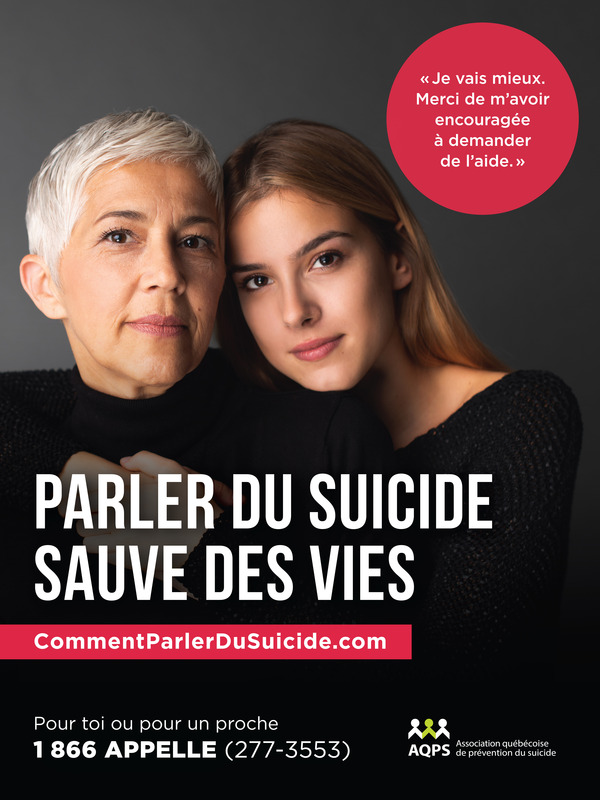 Whether it is to express distress or find comfort, or ask a loved one who is not doing well if there is any way you can help them and if they are thinking about suicide, or whether it is to raise awareness in the community, there are words you can use to talk about suicide in a preventive and safe way. There are also ways to learn how to listen. Thus, speaking up not only has many benefits, but also makes for a stronger safety net. Organize an awareness activity or take part to one. 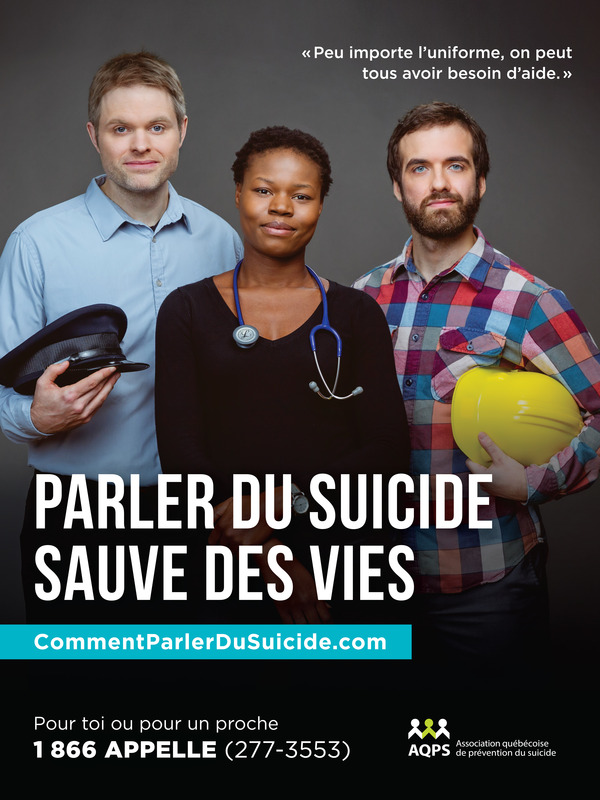 Sign and ask others to sign the suicide prevention declaration which has already been signed by more than 50,000 people.